Founded by Ou Ritthy, one of Cambodia’s rising changemakers. 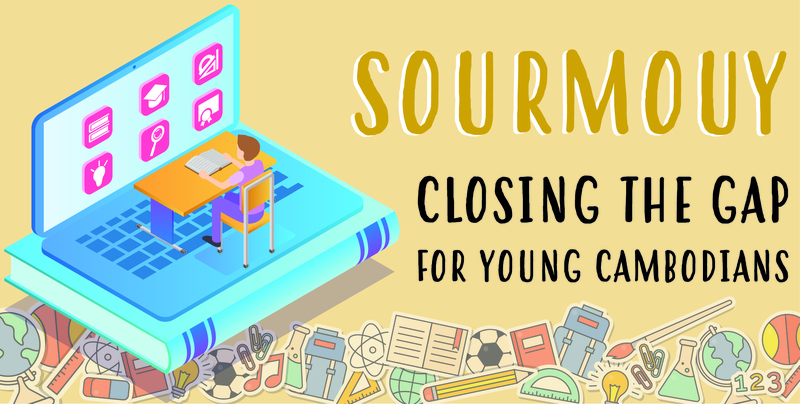 “Sour Mouy is a new initiative in the digital age to help fix the dividing gap between the students in the rural areas and cities. Plus, it can provide the less privileged and less informed students with the right tools and decision to succeed,” Ritthy explained. Literally meaning “ask one” in Khmer, Sour Mouy is a web-based platform that allows anybody to sign up and get advice from the carefully screened and handpicked mentors. With over 200 mentors on the site there’s practically an expert for any industry you can think of. A search feature allows mentees to filter mentors by field of expertise, for example finding experts in the Science, Technology, Engineering, and Mathematics(STEM) field, and simple click on the “Connect Now” button gives users the contact details to start receiving advice. Sokry Zahron, Site Coordinator, demonstrating how to use Sour Mouy. With some 210 mentees signed up so far, there is almost a 1:1 ratio of mentees to mentors, something that Site Coordinator Sokry Zahron is keen to address. “Most high school students don’t know how to use the site, and also this platform is not widely known by the public. Our platform just launched earlier this year and we don’t have enough resources to get information about it to most high school students, especially those in remote areas,” explained Sokry. To get around their limited resources, the team utilises the conference platform BarCamp to bring Sour Mouy to provinces like Kampong Cham. Currently Sour Mouy does not have a sustainable stream of revenue, but the team hopes to utilise advertising on the site to be self-sustaining before upgrading to a dedicated app. Pech Pisey is the Senior Director of Programmes at Transparency International Cambodia and was a mentor since the beginning of Sour Mouy. With plans to make the platform even safer for mentors and mentees to interact, and to find ways to make the costs of running Sour Mouy sustainable, the team behind the project are optimistic.